I always consider couture as a seasonless section, because when you intend to posses couture pieces, you'd be given access to archives in the past and you'd always be more than welcome to pick one from it (except of course, if the one you wished to have is already taken exclusively, which means there's only one single dress or suit of that model in the world), and knowing a relatively new super talented couturier is like getting a jackpot. 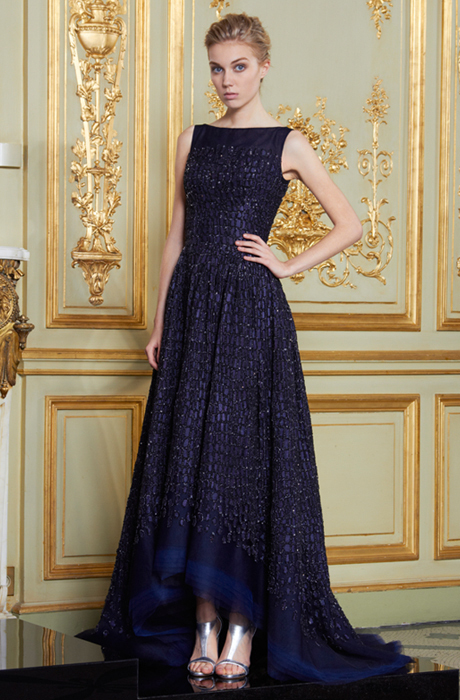 I know that some new couturiers are not yet good, since they still need to get used to the couture ambience, and with a lot of seniors out there, it's quite hard to show something really interesting. But this, I admit that this brings new fresh air on the superb stage of couture. For those who don't know, it seems like it's all about red-carpet-ready look. 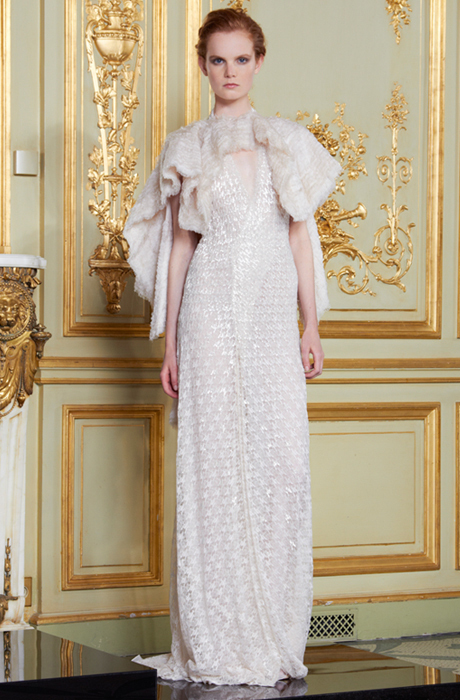 But as I always say, that there must be a deeper meaning and story, so that a couture collection can be remarkable. And this collection does. Inspired by Gustav Klimt, the master of symbolism painting, and a respectable member of Vienna Secession, what Anna Balakian says in her book The Symbolist Movement: a critical appraisal, "Symbolism was a reaction in favour of spirituality, imagination, and dreams", this is what it gave me. And that's what couture is all about. Syrian-born designer, Rami Al Ali, interpreted the rebellion to naturalism and successfully brought the romanticism and refinement to the stage. The opening look reminds me of the Portrait Adele Bloch-Bauer I, one of the most renown paintings of Klimt (which was sold for whooping record-breaking number of $135M in 2006). The extravagance of deep purple and luxuriant gold, a stamp to the glamorous twenties era, gave a perfect picture of lavish Arabian nights, without leaving its sexiness and elegance. A midnight black floor-length dress flattering an open back, soft and delicately hazy tulle, transparent accordion skirt, silk organza and chiffon, was perfectly matched with a sharp romantic gold-and-bone-white background and shimmering black runway. Swinging fringes, plunging V-necks, and the trademark twenties’ drop waist—beautifully showcased in a scalloped ombré-effect dress and a midnight blue dress with peak-a-boo appliqué beadwork. It was indeed a precise calculation of combining gold, white, metallic, and the ultimate black, balancing each other so that there's nothing as too much or too glittery. Rami is on the right path. Given a collection with strong reverence and immaculate technique, showing 'less is more' without being 'too less', I can't wait to see his imminent couture tour-de-force and see what dream he will make come true.